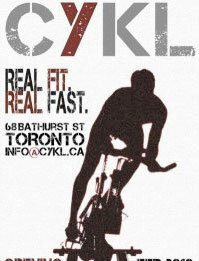 CYKL is the first indoor cycling studio in downtown Toronto to make exclusive use of the revolutionary RealRyder™ bikes. They are the only stationary bikes in the world that allow riders to bank (lean) into turn. As a result the workouts are more dynamic, intense and incorporate more muscle groups during use than a traditional indoor cycling bike.